L.I.S.A., as our agent is fondly known, is a capable, organised and highly qualified member of the RITO Technologies team. She is tireless in her ability to source system information and automate policies and procedures. She is our most valuable team member in that she works 24/7/365 - no tea breaks, no lunch, no leave, no sleep. RITO Technologies area of expertise is Managed Services, our goal is to utilise our knowledge base and exposure to other companies in order to grow your IT infrastructure by continuously looking forward. RITO Technologies makes use of L.I.S.A. (Live In System Administrator) which allows us to perform proactive maintenance on a continuous basis. RITO Technologies makes use of PSA Software (Process Systems Automation) to assist us with the implementation of IT projects and systems within your organisation. RITO Technologies has a fully functional, comprehensive, flexible, web-based helpdesk environment. All Intellectual Property regarding your networks is stored in accessible software packages instead of being stored in the memory centre of a salaried technician. Senior IT personnel available at all times. 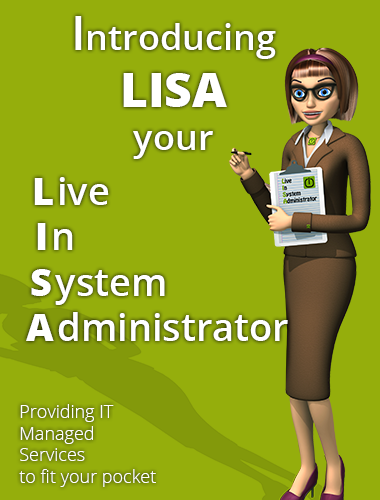 Capabilities & experience from IT Manager to Support Desk Technicians. Staff vacation time will not influence your support level. No additional costs for training to keep staff members abreast with the latest technology.